Anyone who has ever read half a page in a Public Choice textbook will, if nothing else, at least have taken the following insight on board: if the benefits of a policy are tangible and concentrated, while its costs are opaque and dispersed, that policy is here to stay – no matter how foolish it is. The reason is that the few who benefit from the policy, and the many who are negatively affected, will respond in very different ways. The former will make an awful lot of noise. They have every reason to organise themselves politically, for example by forming some kind of interest group, and make sure their voice is heard. Whenever their beloved policy is under threat, they will shift into high-gear mode, and shoot down any attempt to curb their privileges. On the other hand, those who suffer the consequences of the policy have no such incentive. For them, the impact of the policy is too intangible – it is just one topic among many. Even if they are aware of the problem, they are too heterogeneous a group to speak with one voice. This is why so many misguided interventions which protect a few to the detriment of many are so stubbornly inert. This basic mechanism is universal. It is not a problem which is specific to the UK, nor is it more widespread here than in other countries. But the problem is that here in the UK, misguided interventions are concentrated in the sectors where it hurts those on the lowest incomes most. In this sense, the UK clearly is an international outlier: housing costs in the UK are among the highest in the world. Food prices are among the highest in Western Europe. Childcare costs are among the highest in the world. Energy prices are not exceptional, but definitely higher than they have to be. All of this has political explanations. There is nothing in the soil or the air here which makes the basics of life expensive. It is caused by policies that are alterable and reversible. This is why a poverty lobby could, in principle, be a force for good. The poverty lobby could mitigate the Public Choice problem to some extent, because they have the political know-how, the organisational infrastructure and the credibility to do so. They could speak up for the low-income consumer, whose voice is too rarely heard in the political sphere. The poverty lobby in this country is not interested in such issues. They are a single-issue crowd, and their single issue is welfare benefits. Of course, they like to present their agenda as ‘multi-faceted’, but what they mean by multi-faceted is that it involves different types of benefits: benefits in cash, benefits in kind and social services. However, they are totally indifferent to issues outside of this agenda. This is strange because, as mentioned, in terms of the basic cost of living, the UK is an international outlier, and an outlier in the wrong direction. In terms of the size of the welfare state, however, the UK is very much in line with its North-western European neighbours. It is a complete myth that welfare spending in the UK is miniscule when compared to Scandinavia. In terms of total social expenditure, the UK is now on a par with Finland, ahead of Norway, and not far behind Denmark. It is only in Sweden that welfare spending is still noticeably above British levels. Would the poverty lobby be content if British welfare spending rose by another four percentage points, thus exceeding the Swedish level? Of course not. They would ignore it, or deny it, and continue to call for more welfare spending. That is what single-issuers do when their single issue ceases to be relevant. But the rest of us should realise that this approach has been taken far enough, and that it is about time to move on to a different anti-poverty agenda. The next article in this series will do just that. 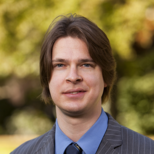 Kristian Niemietz is the author of Redefining the Poverty Debate – Why a War on Markets is No Substitute for a War on Poverty. You provide some very good arguments. I have long noticed that this is an expensive country for the basic necessities. However, I would question a couple of your points. Are food prices really the highest in Western Europe? I agree that European food prices are high, but ours don’t seem any more so than most European countries (unless you count alcohol). Our domestic energy prices are consistently some of the lowest in Europe, despite government-imposed green taxes. A much ignored factor that you haven’t mentioned is just how little we get for our taxes. The public sector seems much more adept at absorbing large amounts of our money for little output than in most European countries. The power of the producer interest in the NHS is a factor, as is the most expensive police force in Europe, and the number of hugely well paid officials in much of the public sector and their generous pensions and early retirement and huge payoffs. Similarly, the protection offered to the legal profession and the consequent costs to the public purse – Tony Blair’s wife made millions from the public purse from often trivial seeming ‘human rights’ cases (you’ll remember the one about what a girl was allowed to wear in school). Yet these things are barely mentioned. HJ: You’re right, of course, that the big difference in food prices is between the world market and the CAP-countries. Nevertheless, there is variation between the latter (see Table 13 in the book), which I think is worth pointing out because it indicates an easy win. The British retail sector is, as far as I can judge, in good shape. That, in itself, should lead to things like food prices being lower than elsewhere. But then there’s the high cost of space, which merges with food prices, and at the moment, the latter factor seems to outweigh the former. If I’m right, it means that if we could sort out the planning issue, knock-on effects on prices across the board could occur very rapidly and be quite substantial.